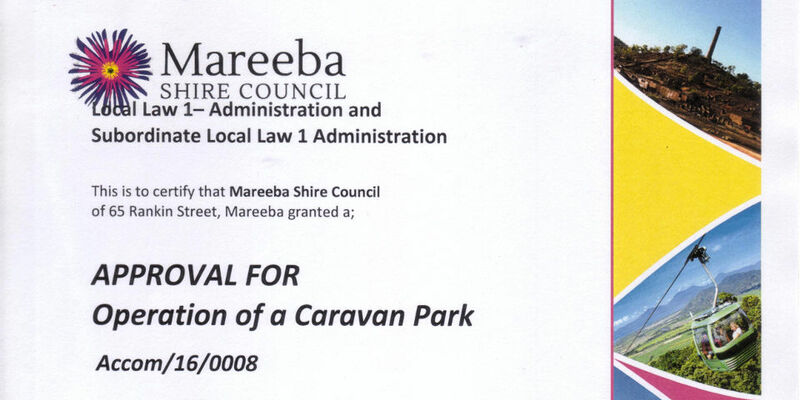 5 December 2016 - Trinity Plains Tourist Park receives local government approval for operation of a Caravan Park. After 18 months of planning, and another 18 months of work preparing infrastructure, renovating and building a brand new amenities block, this approval marks a major milestone for Trinity Plains Tourist Park and the Mareeba Shire. Trinity Plains Tourist Park is finally open for business. While there will be many more improvements coming over the next few months and years, our first campground with 50 powered sites and plenty unpowered camping space is now available.